There seems to be a trend running through Australia YA fiction this year: cults and psychological thrillers. 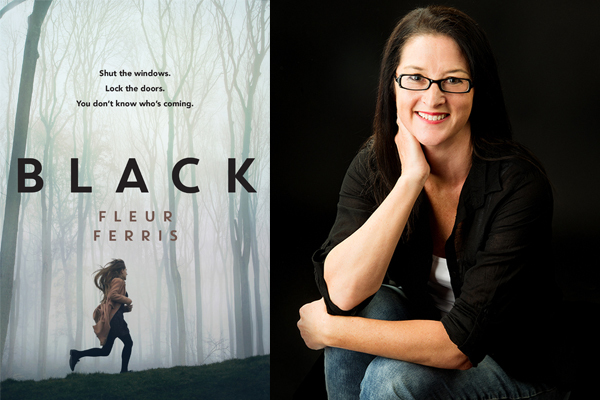 And amongst this trend is Black by Fleur Ferris, set in a mysterious, claustrophobic town Dainsfield where the main character – Black Marshall – is cursed. Three of her best friends have died in tragic accidents and the whispers are starting up again and people are keeping their distance from Black. And then Black’s formal date ends up in intensive care and the town starts to stir – like a slumbering beast being awoken by a new threat to its kingdom. Almost immediately, readers are thrust into a world where rumours find footing and everyone in the town seems to have the memory of an elephant. Their watchful glares and the schoolkids’ cruel remarks set the scene for the novel and open up all sorts of questions for the reader. Black Marshall is a strong, resilient character who does not shy away into the shadows or feel enveloped by what others think of her. She’s a great main character, and she really drives the novel and the pacing. This novel is quite disturbing. It has that ominous feel to it that you get during a horror movie when someone is walking through a dark house. Fleur has dropped hints and clues around the place for the reader to compile, and this keeps the reader engaged and intrigued. Fleur has also found an entertaining way to weave cults, religion, the devil, exorcisms, haunted houses and curses into one tiny book. There were two elements of the novel that I found to be unrealistic. I didn’t quite understand the love triangle, or either of the relationships in the novel. Black and Aidan Sweet were set up to be the love story of the novel, but then Aidan ends up in intensive care for the majority of the novel. And then Ed, who is friends with Black and has been there this whole time, suddenly glides into the novel to form the love triangle. I found the relationships in Black to be distracting and unnecessary to the rest of the plot. They seemed to shift focus too quickly, and the resolution of the issue was too quick and unrealistic. Aidan was gone so quickly from the book that it felt pointless to have him there in the first place, and Ed and Black’s chemistry didn’t seem authentic enough to warrant the ending (I won’t give it away). Despite these two things, I did enjoy reading this novel. It’s a short novel and it can be read in one sitting. The pace is fast and interesting and there are enough mysteries and twists in the novel to keep the reader interested. It’s not the best YA thriller out there in 2016, but it’s still a good read.